When most anglers are putting away their fishing rods for the season the fishermen in South Florida are just getting started. Unlike most parts of the country that have limited fishing opportunities in the winter, South Florida has lots to offer. In fact, the colder months of the year just might make fishing for some species even better. One of the most popular fish that anglers seek out in South Florida waters is the redfish. According to an article written for Florida Sportsman, January is one of the best time to fish for redfish. Unlike many other species of fish in South Florida who go to deeper waters, redfish tend to stick closer to the shoreline. When other types of fish become lethargic and stop feeding, Redfish take advantage of the void in competition and enjoy feeding on baitfish. This gives anglers the perfect chance to rack up their limit on this very fun to catch fish. Fishing in the winter months is much simpler than one can imagine. While some are very skeptical about winter fishing, others leap at the opportunity. But finding redfish in the winter is as simple as finding the baitfish. Locating schools of baitfish along the shoreline is hands down the best place to fish for redfish. Even the less experienced angler will have an easy time locating redfish during late winter. Other than bait fish schools, another great place to look for redfish is in the shallows. Shallow areas that are away from main currents can often warm up quickly as the day goes on. In these areas, redfish will be more active and more likely to bite. Lagoons, bays, and areas close to marshland can be the perfect areas for redfish. Remember to avoid open water at least until later in the day when the water temperature has a chance to rise. 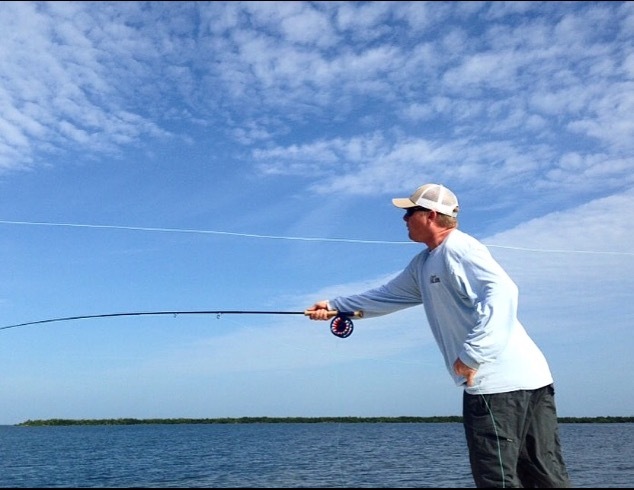 So if you are trying to beat the winter fishing blues, why not head on down to South Florida? You just might be surprised at what you can find!